Many people were shocked over the extreme response of the Chapel Hill police to a group of peaceful protestors who were camped out in an abandoned building. This is especially surprising because this small and sleepy college town has a lot of experience with huge crowds of wild and crazy young people. I live in the “twin town” of Carrboro which is one of the most hip and relaxed places around. This incident is a very bad reflection of the democratic process and fairness for which our community has been known. This could have been much worse if one of the nervous young cops had shot someone. This shows how it really is time to reign in the police state before it takes hold!! As Jeff Bridges maintained in The Big Lebowski “This aggression must not stand, man!” Why are they carrying such deadly weapons? I was surprised and saddened after hearing about this incident on Countdown with Keith Olberman (now on Current TV.) Chapel Hill is the last place where police would ever confront the kind of aggressive violence they were dressed up and ready for. 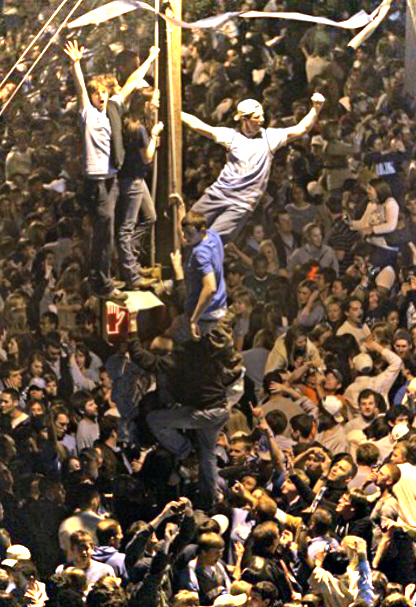 They are able to deal with huge crowds of drunk revelers on Halloween and whenever UNC-Chapel Hill wins a national championship. Clearly someone up the chain of command (ultimately the mayor) screwed up badly when they estimated the extent of threat that this rag-tag group of protestors represented. The absentee landlord is the real social deviant who should be taken to task for blighting Franklin Street for a decade. Fortunately, former US Senate candidate Jim Neal delivered a detailed list of questions that Chapel Hill authorities need to have answered by an independent commission. Click below to learn all the details. 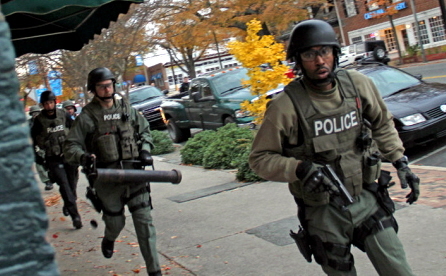 The city of Chapel Hill, North Carolina made a name for itself over the weekend by sending at least 25 heavily armed commandos to arrest eight unarmed “Occupy” protesters who’d taken over a building left abandoned for over a decade. 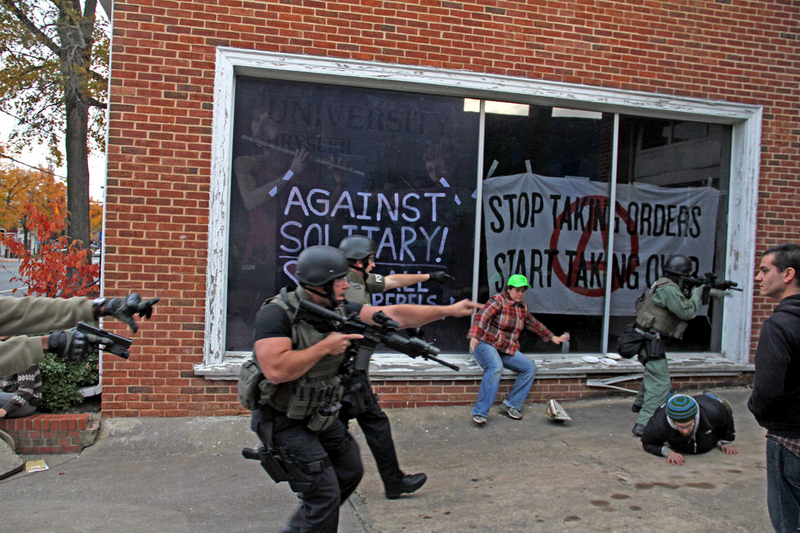 Asserting what they thought were squatters’ rights, about 50-75 “Occupy Chapel Hill” demonstrators broke into an abandoned Chrysler building on Saturday night, taping up banners in the windows. They screened a film and danced into the night, with officers only making a single, brief appearance before leaving entirely. Things changed dramatically by Sunday afternoon, when local media reported that more than 25 commandos armed with assault rifles staged a raid on the building, rushing in to find just eight protesters who’d stayed the night. Others near the building, including a reporter, had guns drawn on them and were forced to lay on the ground and be placed in handcuffs. 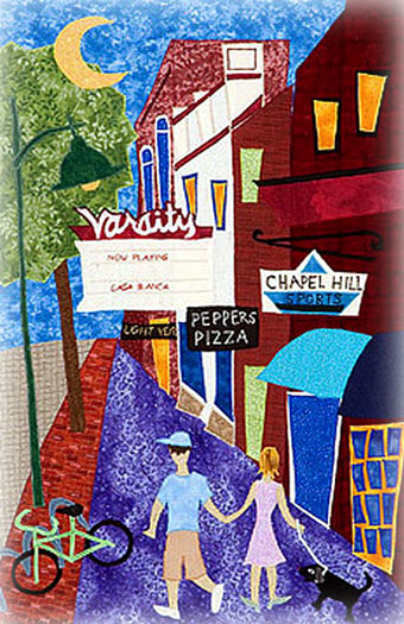 The city of Chapel Hill has a population of just 57,000. People protesting the cops from the other side of Franklin St.
A police tactical team of at least 20 police officers arrested seven demonstrators Sunday afternoon and charged them with breaking and entering for occupying a vacant car dealership on Franklin Street. Officers brandishing handguns and semi-automatic rifles rushed the building about 4:30 p.m. They pointed weapons at those standing outside and ordered them to put their faces on the ground. They surrounded the building and cleared out those inside. About a dozen people, including a News & Observer reporter covering the demonstration, were forced to the ground and handcuffed. Police closed off four blocks of West Franklin Street with six squad cars and a fire truck while officers removed signs the demonstrators hung in the former dealership’s show room windows. Police waited until the crowd reached “a manageable size” before moving in Sunday, the statement said. The group identified itself as “anti-capitalist occupiers” and moved into the former University Chrysler and Yates Motor Co. building at 419 W. Franklin St. on Saturday night, the police statement said. The brick and cinderblock building with large windows fronting the sidewalk is owned by out-of-town businessman Joe Riddle and has stood empty for many years. Anarchists looking out from inside the building. This picture is NOT from Chapel Hill, but is very cool! Ashley also has participated in the Occupy Chapel Hill group camped outside the post office on a site the town calls Peace and Justice Plaza since Oct. 15. About a dozen tents were on the plaza this weekend. Police have said they do not plan to intervene there as long as demonstrators allow access to the building. Demonstrator Neal Richards said the protesters modeled themselves, in part, on “los indignados,” working-class people of Spain who feel ignored by the government and major political parties and whose rallies inspired the Occupy Wall Street movement in the United States. Demonstrators, at least before Sunday’s arrests, saw the Chrysler space as a potential place to keep Occupy Chapel Hill and like-minded people going as the weather gets colder. “This could certainly provide a permanent infrastructure for the movement,” Richards said. Police used Chapel Hill bus to house "prisoner." Note the ad on side for Wachovia! 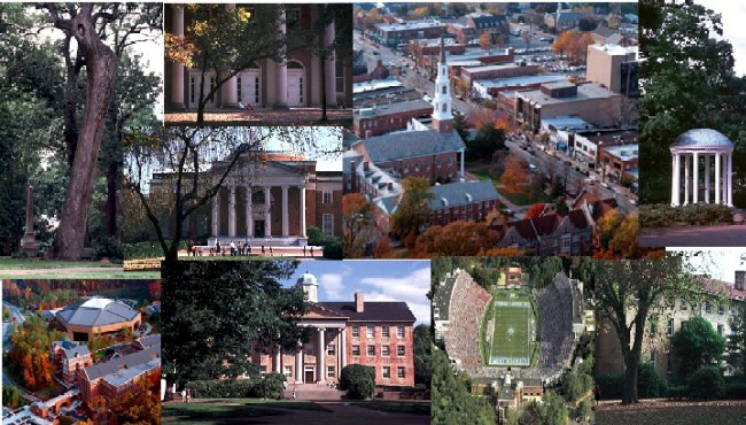 UNC - Chapel Hill ("The Tarheels") is by far the dominant institution in Chapel Hill. Activists with Occupy Chapel Hill are working to distinguish themselves from the protest and response three blocks away. 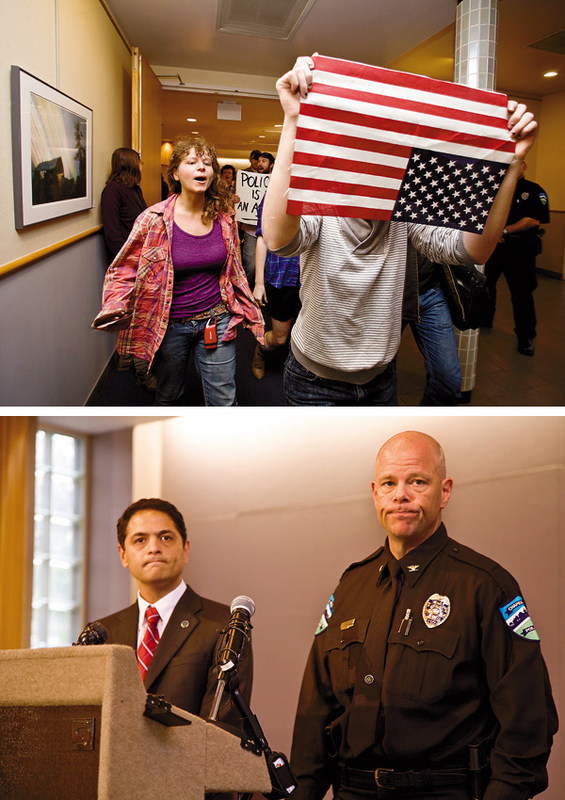 “Occupy Chapel Hill is nonviolent, it is peaceful, and it does not break the law,” said Harry Phillips, a member of the group. 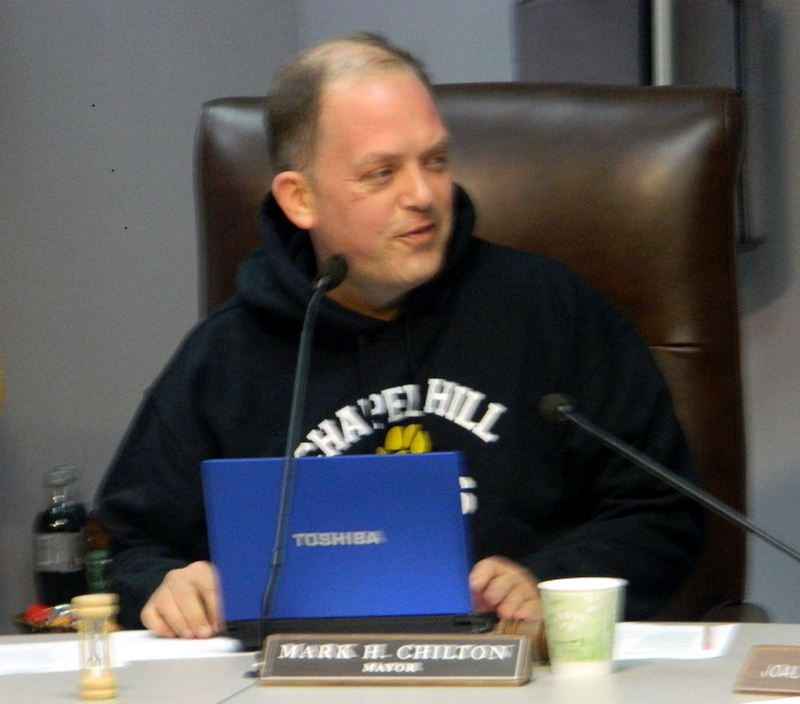 “Other groups around town may choose different tactics; Occupy Chapel Hill does not support them.” Phillips emphasized that OCH has a respectful relationship with town leaders and officers, who have worked to facilitate the campsite. The group does not condone the actions of the anarchists, some of whom have been affiliated with OCH, nor do they approve of the police response. 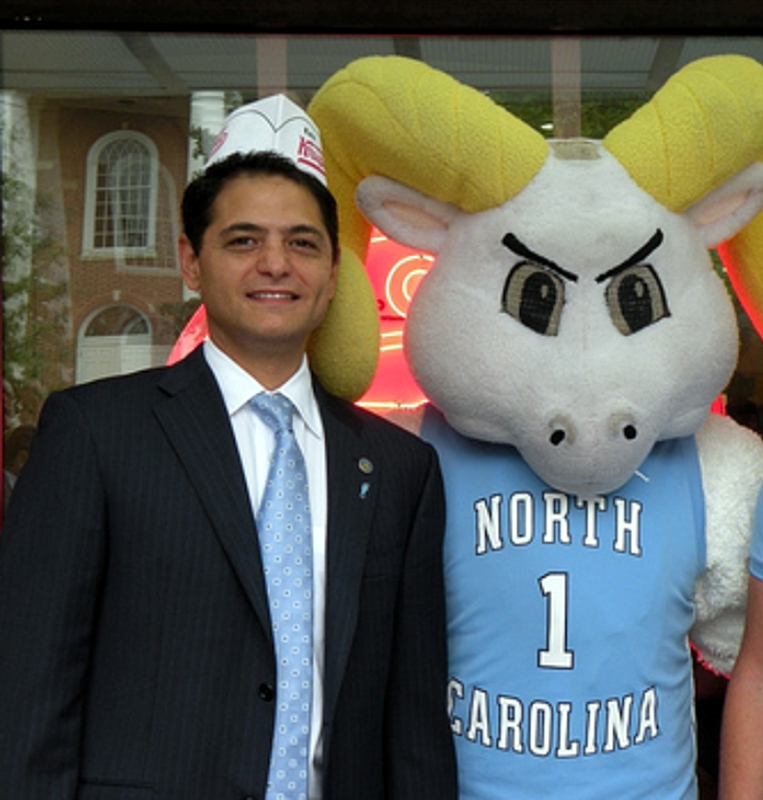 Chapel Hill Mayor Mark Kleinschmidt stands firmly with the UNC mascot. Self-described anarchist Daniel Meltzer would likely say “not with loaded rifles. By the time I arrived at the building, my friends were being held at gunpoint on their faces with assault rifles in their backs,” said Meltzer, a Chapel Hill resident. 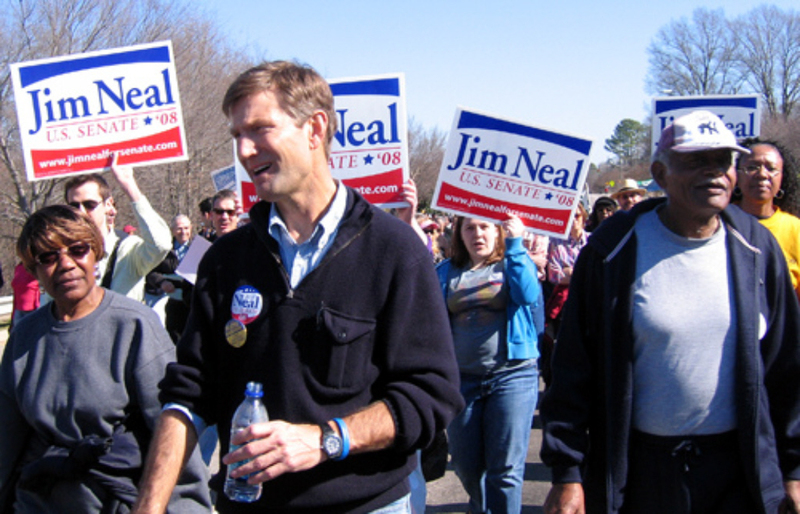 Jim Neal who wrote the following petition finished second in run for U.S. Senate in 2008. Note the diversity of his supporters. Petition for an independent commission to review the Chapel Hill Police Department deployment of a special emergency response team at an incident occurring at 419 West Franklin Street. I respectfully submit this Petition to the Council calling for the appointment of an independent review commission (the “Independent Commission”) to research and report to the Council and Chapel Hill community its findings regarding the circumstances leading up to the decision by the Chapel Hill Police Department and other officials (collectively, the “CHPD”) to deploy a Special Emergency Response Team (“SERT”) unit in response to the occupation the former Yates Motor Company building (the “Yates Building”) at 419 West Franklin Street on Saturday November 12th 2011 (the “Incident”). There is a groundswell of rancor and confusion in the Chapel Hill community regarding the circumstances leading to what many view as the disproportionate response by the CHPD to the Incident and the ambiguous press release issued by CHPD Chief Chris Blue on November 14th. It is my belief that an Independent Commission’s findings can best report facts and conclusions absent bias claims leveled at the CHPD and Town officials. 1. What were the conditions that led the CHPD to deploy the SERT unit to respond to the Incident? Were there communications with occupants at the Yates Building? Were threats made? CHPD monitoring intelligence- how was information gathered and what high-risk security issues did those findings raise? Was intelligence gathered from third-party safety and security sources including the Federal Bureau of Investigation in regard to the occupants of the Yates Building, including the identification of “known anarchists” and any prior history of violent behavior from said persons? 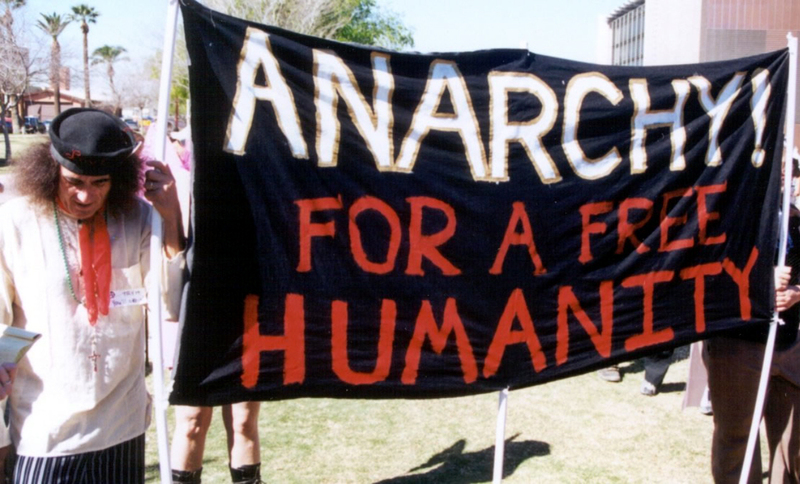 Given the presence of “known anarchist members of the group”, I noted that the seven people arrested were charged with misdemeanor breaking and entering and released without having to post bail. This calls to question the degree of risk they posed despite CHPD intelligence indicating they posed a critical threat to public safety. Is it the policy of the CHPD to treat all persons deemed to be “anarchists” as posing security and safety risks to the community? What are the “known risks associated with anarchist groups”? Would the known possession of copies of literature such as The Anarchist Cookbook by a party to whom a warrant was about to be served by the CHPD constitute a high-risk situation? Given statements that it was “unclear if any weapons were inside the [Yates] building”, was there an attempt to determine prior to the deployment of the SERT unit if any weapons were inside the premises, given the CHPD’s extensive observations and monitoring? Given the concerns expressed by the CHPD in regard to “the group” at the Yates Building having hung large banners in an attempt to obscure the windows to the building, what intelligence supported the CHPD’s awareness “that the number of people inside [the Yates Building had] dwindled to the point that we could safely enter”? What tactical equipment did the SERT unit possess in responding to the Incident ? Were the automatic weapons leveled at bystanders in front of the Yates Building lethal? What orders were given to the SERT unit members as to the circumstances under which they were authorized to utilize lethal force? 2. What are the procedures governing the deployment of a SERT unit and what parties participate in making that decision? Why was the Incident deemed to pose security and safety risks that necessitated the heavily-armed tactical response by 25 SERT and CHPD personnel? What alternative procedures were available to the CHPD in responding to the Incident? Which of those alternative procedures, if any, were reviewed by the CHPD prior to deployment of the SERT unit? 3. Why was a self-identified member of the press, Katelyn Ferral of the News Observer, forcibly pushed to the sidewalk by members of the SERT unit and handcuffed along with other bystanders in front of the Yates Building? Was the safety of Ms. Ferral and others in front of the Yates Building compromised in any way given the possibility of a lethal encounter? 4. What are the policies and procedures governing the dispersal and protection of bystanders prior to the insertion of a SERT unit? Given that the SERT unit received orders to commence operations in a so-called “critical condition” situation, what forethought did the CHPD give to the insuring the safety of parties in front of the Yates Building and crowds gathered across the street? Why weren’t people present at the scene dispersed to a safe distance from what the CHPD itself feared might be a violent, lethal response by those inside the Yates Building? Under what high-risk scenarios of concern to the CHPD would the safety of bystanders in the immediate area been threatened? Speaking of High Risk, things get very crazy on Franklin Street every year on Halloween. Somehow the Chapel Hill cops are able to control themselves. 5. What precedents have there been for deployment of the SERT unit since its creation in 1979? Number of occasions and circumstances of each. How have other local police departments handled similar incidents? Is there a set of law enforcement best practices detailing the conditions that necessitate the deployment of specialized, armed tactical units? 6. What parties were consulted prior to the CHPD’s decision to deploy the SERT unit at the Incident? Cops could have accidently shot someone out of inexperience and fear. 7. How often does the CHPD review the policy and procedures governing the deployment of a SERT unit into so-called “critical conditions”? What constitutes a “critical condition”? What are the boundaries that limit the deployment of a SERT unit? What are the command-and-control procedures governing a SERT unit? Thank you in advance for your thoughtful consideration of this petition. I have every confidence that you will weigh its merits in the spirit of preserving harmony and goodwill in The Southern Part of Heaven. 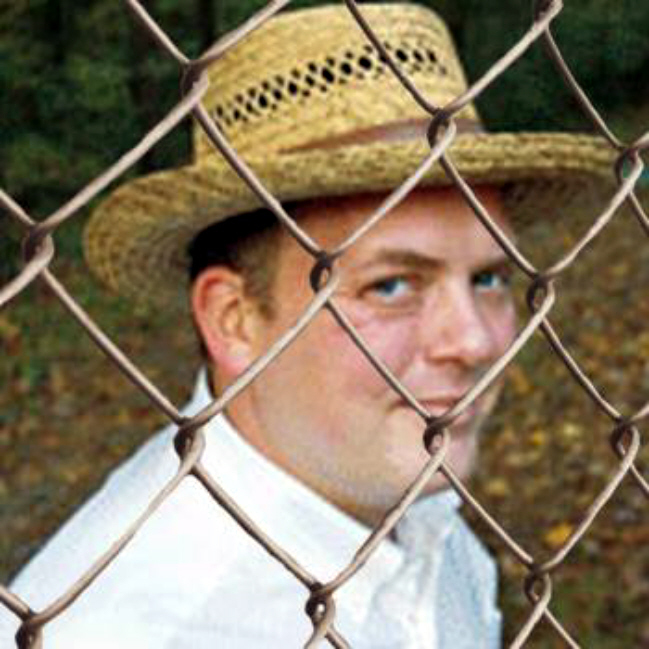 Jim Neal is social activist and entrepreneur from Chapel Hill, NC. 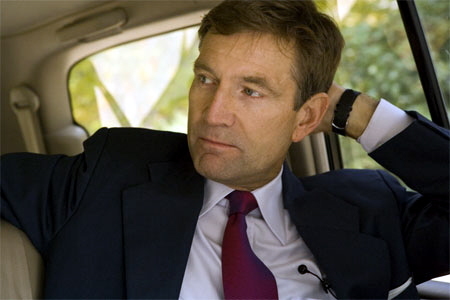 He ran for the US Senate in 2008, finishing second in the Democratic primary to Kay Hagan. This intelligent, handsome and sensitive politician surely should have a bright future representing the people of Chapel Hill and beyond. 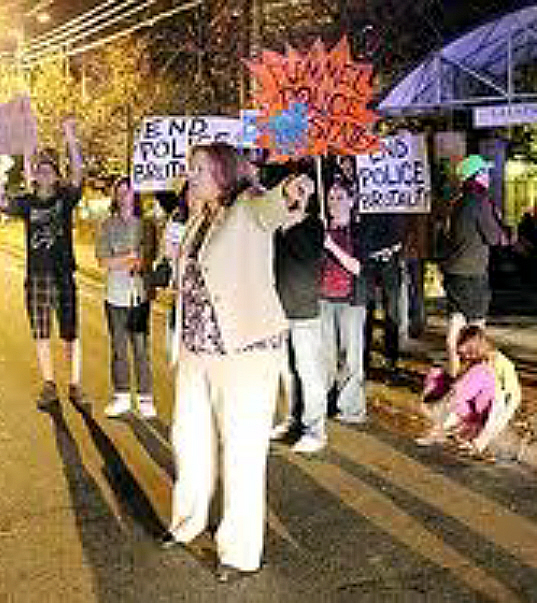 “There is a paramilitary presence in our community and we’ve got to recognize that and kick it out,” said Carrboro Alderman Sammy Slade, who has been active with Occupy. The far-ranging, open discussion focused initially on the overall aims of the Occupy movement before delving into how to achieve them. Some felt they were having success at the Peace and Justice site, where the town has been friendly to protesters, even helping them safeguard their site during the Halloween celebration on Franklin Street. They wanted to connect their movement to others in town including fighting local developers attempting to wipe out affordable housing. Cops really over-reacted by bringing out the guns and the big bus! Very little happened at the recent town council meeting. About a dozen speakers urged the council to take a look at what happened and make sure it doesn’t happen again. “Why were there no attempts to talk to the people inside the building before authorizing a military-style raid?” asked Bert Gurganus. Councilwoman Laurin Easthom proposed that the town issue an apology to two journalists arrested in the fray, but when the council deferred the decision, protesters began chanting their displeasure. Frustrated, Mayor Mark Kleinschmidt called for a break. The council continued with its planned agenda and tabled any official action on the requests from the Occupy group. Protestors inside the Chapel Hill town council meeting. Following a march from Chapel Hill Police headquarters, Town Hall overflowed with protesters Monday night. The crowd spilled into the hallway and outside onto a balcony, where members of Occupy Chapel Hill and other activist groups beat on the windows, chanted and jeered to get their message across. Inside the crowd was quieter, but the atmosphere was tense as the council heard former Senate candidate Jim Neal’s petition calling for independent review of police action on November 13, when a Special Emergency Response Team was deployed to arrest protesters occupying the Yates Motor Building on West Franklin Street. “I believe that the only way to bring this to resolution is to bring in independent eyes; to have third party independent eyes come in and evaluate from the beginning to the end the entire process that led up to the events at the Yates Motor building on the thirteenth,” Neal told the council. Neal was joined by a dozen other speakers who urged the council to decry the police department’s show of force. Frank Papa, owner of Phydeaux pet supply, told the council he’d rather move his business to Durham than support such draconian measures. Michael Conner, of Internationalist Books, identified himself as “your friendly local anarchist,” and asked the council why a group already known to the community would be targeted by police in such a hostile manner. In the end, the council referred both the Neal and Easthom petitions to town staff for further review. The crowd of protesters cleared out of council chambers to continue chanting and drumming outside. 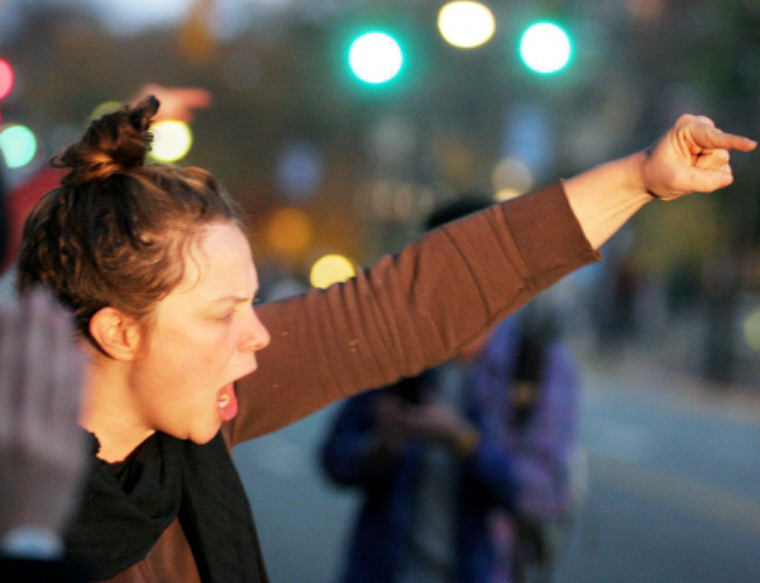 Demonstrators demand that Chapel Hill mayor and police chief provide real answers. The community dodged some bullets. Last night, at about 8pm, a group of about 50 – 75 people occupied the 10,000 square foot Chrysler Building on the main street of downtown Chapel Hill. Notorious for having an owner who hates the city and has bad relations with the City Council, the giant building has sat empty for ten years. It is empty no longer. 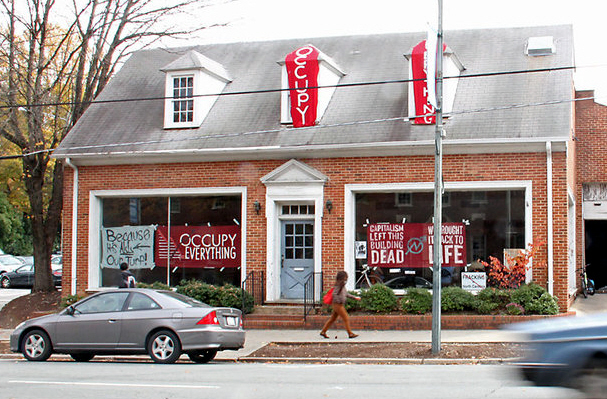 Following the Carrboro Anarchist Bookfair, a group “in solidarity with occupations everywhere” marched to the building, amassing outside while banners reading “Occupy Everything” and “Capitalism left this building for DEAD, we brought it back to LIFE” were raised in the windows and lowered down the steep roof. Much of the crowd soon filed in through one of the garage door entrances to find a short film playing on the wall and dance music blasting. People explored the gigantic building, and danced in the front room to images of comrades shattering the glass of bank windows 3,000 miles away in Oakland. Others continued to stay outside, shouting chants, giving speeches, and passing out hundreds of “Welcome” packets (complete with one among many possible future blueprints for the building – see below for text) to passersby. The text declared the initial occupation to be the work of “ autonomous anti-capitalist occupiers,” rather than Occupy Chapel Hill, but last evening’s events have already drawn the involvement of many Occupy Chapel Hill participants, who are camped just several blocks down the street. Soon several police showed up, perhaps confused and waiting for orders. Three briefly entered the building, and were met with chants of “ACAB!” Strangely, the cops seem to have been called off, because they left as quick as they came. For the rest of the night they were conspicuously absent, leaving us free to conduct a short assembly as to what to do with the space and how to hold it for the near future. 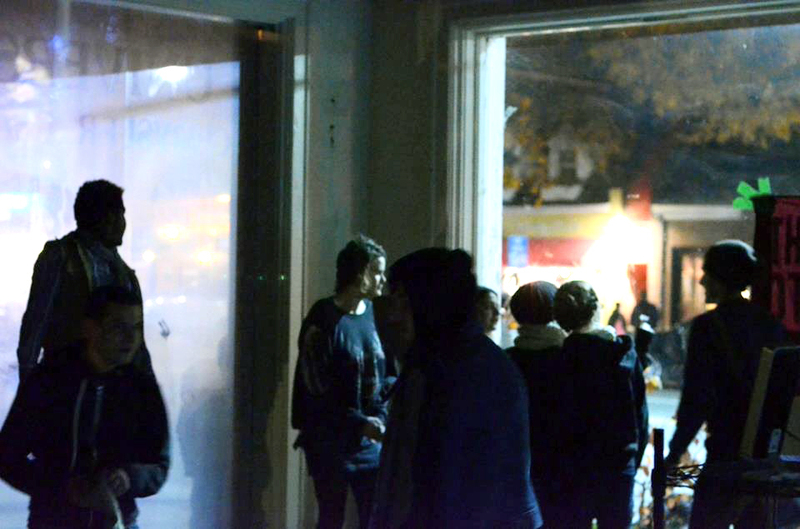 The group also decided to move a nearby noise and experimental art show into the building. As some folks began to arrange the show, others began filtering across town seeking things we needed for the night. 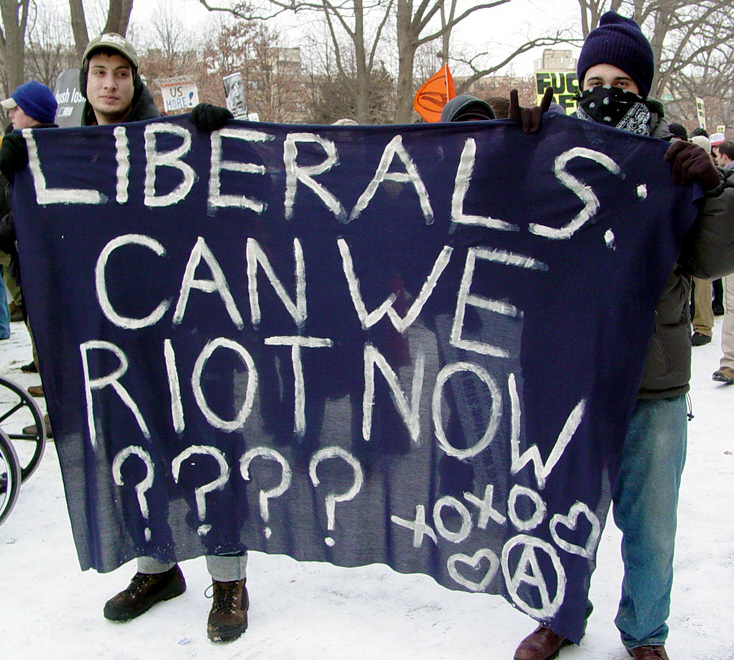 Note these anarchists are not in Chapel Hill, NC. Within 30 minutes of the assembly ending, trucks began returning with everything from wooden pallets, doors, water jugs, and a desk, to a massive display case for an already growing distro and pots and trays of food donated by a nearby Indian restaurant. Others began spreading the word to the nearby Occupy Chapel Hill campsite, and bringing their camping gear into the building. Over the next few hours more and more community members heard about the occupation and stopped by, some to bring food or other items, others just to soak it all in. All the while dozens of conversations were happening outside with people on the street. The show began eventually, and abrasive noise shook the walls of the building, interspersed with dance music and conversations, and ending with a beautiful a capella performance, and of course more dancing. 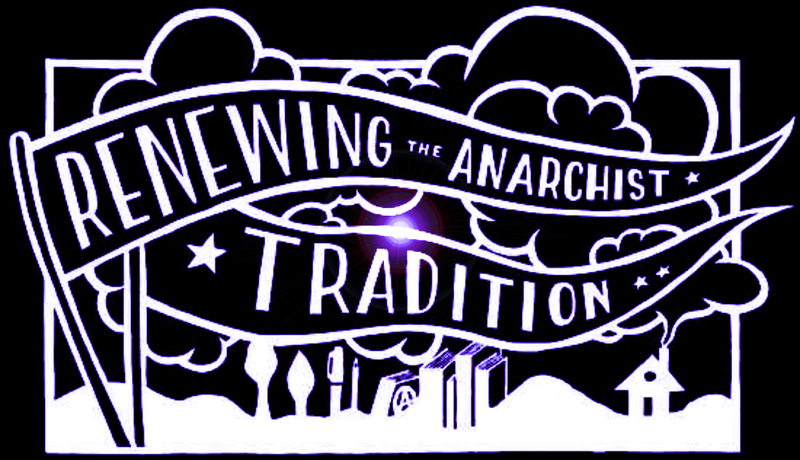 More events are to follow tomorrow in our new space, with two assemblies from the anarchist bookfair being moved to the new location, and a yoga teacher offering to teach a free class later in the afternoon. As of the early hours this Sunday morning, the building remains in our hands, with a small black flag hanging over the front door. The first 48 hours will be extremely touch and go, but with a little luck, and a lot of public support, we aim to hold it in perpetuity. Regardless, we hope that this occupation can inspire others around the country. Strikes like the one in Oakland present one way forward; long term building occupations may present another. We would like to welcome you to an experiment. For the past month and a half, thousands of people all over the US have been occupying public space in protest of economic inequality and hopelessness. This itself began as an experiment in a small park in New York City, though it did not emerge out of a vacuum: Occupy Wall St. “made sense” because of the rebels of Cairo, because of the indignados of Madrid and Barcelona and Athens. All of these rebellions were experiments in self-organization which emerged out of their own specific contexts, their own histories of struggle and revolution. 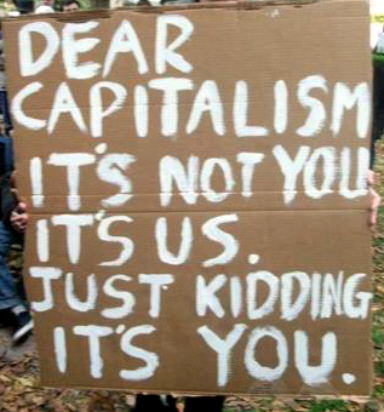 Each were unique, but also united by the shared reality of the failure and decline of late global capitalism, and the futility of electoral politics. Recently, this “Occupy” phenomenon has expanded beyond merely “providing a space for dialogue” to become a diverse movement actively seeking to shift the social terrain. From strikes and building occupations to marches and port blockades, this looks different in different places, as it should, but one thing is clear: Many are no longer content with “speaking truth to power,” for they understand that power does not listen. Toward that end, we offer this building occupation as an experiment, as a possible way forward. For decades, occupied buildings have been a foundation for social movements around the world. In places as diverse as Brazil, South Africa, Spain, Mexico, and Germany, just to mention a few, they offer free spaces for everything from health clinics and daycare to urban gardening, theaters, and radical libraries. They are reclaimed spaces, taken back from wealthy landowners or slumlords, offered to the community as liberated space. All across the US thousands upon thousands of commercial and residential spaces sit empty while more and more people are forced to sleep in the streets, or driven deep into poverty while trying to pay rent that increases without end. Chapel Hill is no different: this building has sat empty for years, gathering dust and equity for a lazy landlord hundreds of miles away, while rents in our town skyrocket beyond any service workers’ ability to pay them, while the homeless spend their nights in the cold, while gentrification makes profits for developers right up the street. For these reasons, we see this occupation as a logical next step, both specific to the rent crisis in this city as well as generally for occupations nationwide. 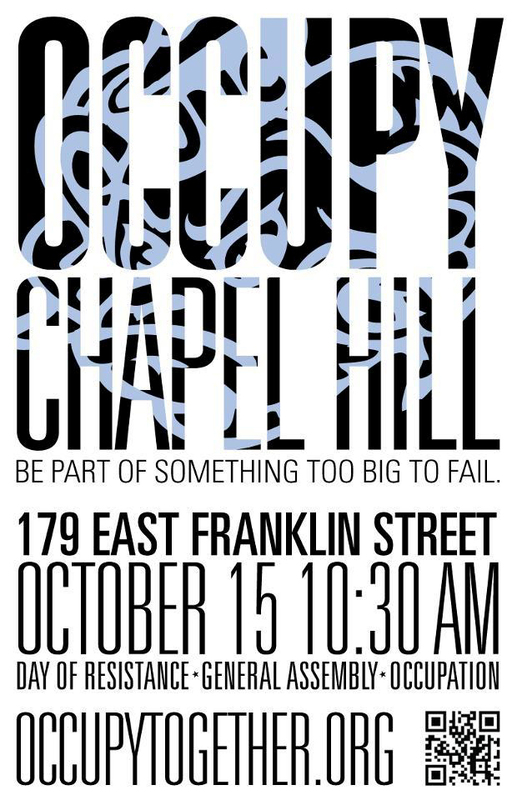 This is not an action orchestrated by Occupy Chapel Hill, but we invite any and all occupiers, workers, unemployed, or homeless folks to join us in figuring out what this space could be. We offer this “tour guide” merely as one possible blueprint among many, for the purpose of brainstorming the hundreds of uses to which such a building could be put to once freed from the stranglehold of rent. 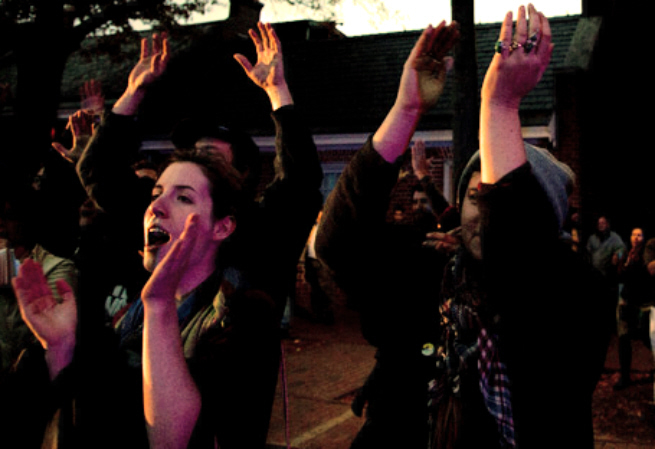 The General Assembly of Occupy Chapel Hill/Carrboro, meeting at Peace and Justice Plaza, expresses outrage and disappointment at the disproportionate and disturbing use of force by the Chapel Hill Police Department. Officers pointing automatic weapons at the heads and bodies of unarmed and peaceful individuals as they did on Sunday afternoon — without issuing any prior warning — raises serious questions about who they are meant to serve and protect. “I’d say I’m not so much angry, as disappointed to have witnessed assault rifles used aggressively and indiscriminately on unarmed protesters and onlookers alike in our fair town of Chapel Hill. It ain’t right. It just ain’t right.” Sonia Katchian, Chapel Hill resident. We feel the CHPD has created an artificial sense of fear and uncertainty for many Chapel Hill/Carrboro residents as a result. “Seeing police pointing machine guns at unarmed protestors, next to a public bus ready to carry them away, and plastered with a Wells Fargo billboard was really ironic. It really makes you think about the kind of democracy we have,” said Carrboro Alderman Sammy Slade. The General Assembly thanks the occupants of the Yates building for their clear statements explaining that this was not an action of the Occupy Chapel Hill General Assembly at Peace and Justice Plaza. We also want to express appreciation to the various local media for their accuracy in reporting this important fact. As stated publicly Sunday afternoon prior to the police action and arrests, this action was neither discussed nor authorized by our General Assembly. 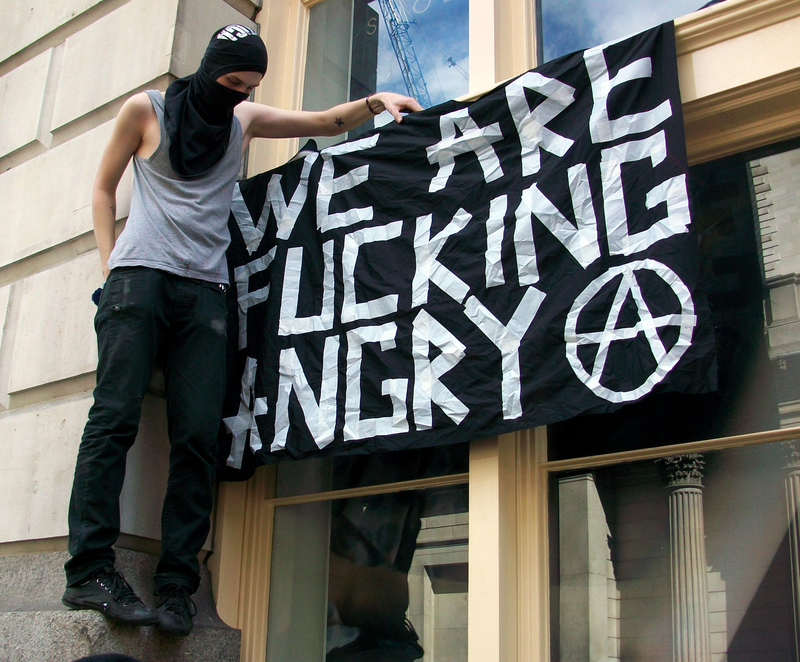 It was an autonomous action by a group of people, many of whom do nevertheless identify as part of the larger Occupy Wall Street Movement — an international movement with occupations now in numerous countries around the world. For generations, the Town of Chapel Hill has been home to important activist movements, including the Civil Rights struggles of the 60s, the fight against the Speaker Ban, various war protests, and the fights for equal rights for women and LGBT people. The Town’s response to the citizen activist movement of our day, the Occupy movement, continues in that tradition — one marked by our community’s efforts toward facilitating the ability of citizens to exercise their constitutional rights of speech and assembly. My office, the Town Manager’s Office, and our Police Department have worked diligently to maintain open communication with Occupy Chapel Hill. 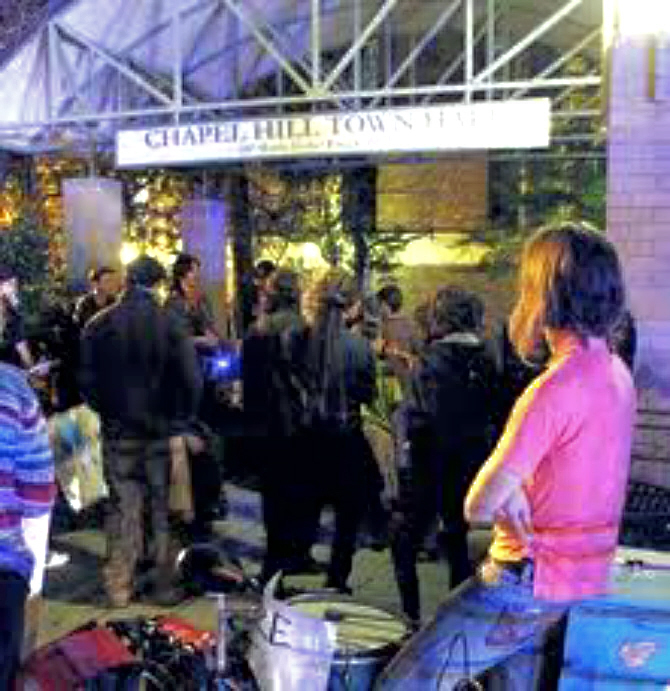 Our work together included ensuring a safe Halloween for the Occupiers and ongoing access to public restroom facilities; and in contrast to Occupy participants in other cities, Occupy Chapel Hill has not been subject to twenty-four hour surveillance by law enforcement. Along with facilitating citizens’ ability to exercise their constitutional rights, it is also a critical responsibility of all levels of government in a free society to respond when rights of others are being impinged upon. This weekend a group of protesters broke into and entered a privately owned building in downtown Chapel Hill. They illegally held the building for more than eighteen hours. These actions were clear violations of state law. In these instances, the Town will respond in accord with the oath every elected official and law enforcement officer takes — to uphold the laws of our state and nation. The Town has an obligation to the property owners, and the Town will enforce those rights, just as it will work to continue facilitating the exercise of free speech. It is not clear to us at this time what connection exists between these protesters and Occupy Chapel Hill, if there even is one. Nonetheless, it is my expectation, looking forward, that Occupy Chapel Hill and the Town will maintain an open and cooperative relationship. The Occupy movement carries an important message for our town, our state and our country. I suspect it will be heard more clearly from Peace and Justice Plaza than from the Orange County jail. At about 3:30 or 4 on Sunday afternoon, I received a call from the acting town manager of Carrboro, calling to consult with me on a difficult situation. The Town of Chapel Hill had contacted the Carrboro Police Department to request assistance under the terms of the Chapel Hill-Carrboro Mutual Aid Agreement. CHPD was preparing to remove some trespassers from the Yates Motor Company Building and wanted the Carrboro Police Department to provide backup. Immediately, I was concerned. Removing protesters from a building can be a tricky thing, and I was already aware that the protesters included some avowed anarchists who live in Chapel Hill. Some of these same folks had been involved in the incident at Greenbridge a few months ago, and some of these same people were apparently part of a vocal minority within the Occupy Chapel Hill General Assembly. I had heard about them second-hand from others at the OCHGA who had been disgusted by this splinter group’s insistence that nonviolence should not be adopted as a goal – that nonviolence was but one tactic of many, but not an end unto itself. I told the town manager that I was reluctant to have Carrboro PD involved because I thought the situation could go badly, but I was also concerned that a Mutual Aid Agreement is a two-way street. If Carrboro declines to assist Chapel Hill in an ugly situation, then that could easily come back to haunt us when we are the ones in a bad spot, calling upon Chapel Hill for assistance. After some extensive discussions, I advised the manager to send our officers as backup only. I wanted Carrboro to assist, but not to be directly involved unless the whole thing erupted into some kind of bona fide riot, in which case the Carrboro PD was to assist in restoring order. The manager agreed that this was a wise approach. Autumn is advancing rapidly now and it gets dark by 6 p.m. I guessed that CHPD would prefer to carry out their plan before dark. It was already 4 when I hung up my cell; so if I was correct, the CHPD would be on the move soon. I trusted the CHPD not to do anything extreme, but still I worried about how they would handle the situation, about how some of the protesters might respond, about how the Carrboro police could potentially be drawn into things if the situation went badly. I knew that no matter how it went, there would be a lot of second-guessing afterwards and that there would inevitably be conflicting reports about just what happened. So I decided to drive straight down to West Franklin Street to witness whatever might unfold between 4:30 and sunset. I didn’t want to get in the way of either the protesters or the police, so I went to Tallula’s restaurant to order a cup of hot tea and observe what was happening across the street. I was just inside the restaurant ordering my tea when shouting on the street drew me and a waiter outside to see what was going on. About two dozen police officers were descending on the building shouting, “Get down on the ground! Everyone get down!” I paused on the sidewalk to judge whether it would be safe to move closer. There were about eight protesters outside the building in the driveway and they all readily complied with police orders, lying face down on the ground. I judged it safe to walk down to directly across from Yates Motors for a better view. I watched as the officers used plastic zip ties to handcuff the people lying on the ground. I was surprised to see that several of the officers were toting assault rifles, as that seemed like a greater show of force than necessary (though I am no expert on such matters). So far as I could see, the assault rifles were being held with their barrels pointed high in the air, away from humans, though the dramatic photo in Monday’s News and Observer clearly shows that some of those rifles were at times pointed at people. A crowd began to gather around me as I watched the scene unfold. I could see (poorly) through the windows that there were officers inside dealing with more protestors. 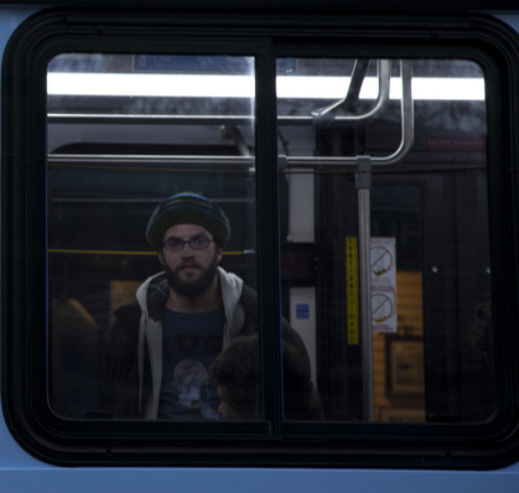 Soon another six or eight people were paraded out into the driveway in zip-tie handcuffs and loaded onto an out-of-service Chapel Hill Transit bus to be taken before a magistrate. Soon the crowd grew to 30 or 40 people, most of whom were jeering the police. Ultimately, I’m not sure what to think about Sunday’s events. The events I witnessed were not what I would have hoped for, not the way I would have handled a similar situation in Carrboro. Yet I did not see anything that was outside the standard and legally authorized use of police power. I was every bit as concerned for the safety of the police officers as I was for the safety of the protesters. When police go into a situation where there is some plausible reason to believe they might meet armed resistance, they have to come prepared for the maximum level of resistance within the realm of plausibility. Now I fear that Sunday’s display of force from the CHPD will entrench many of the protesters in their rejection of nonviolence as a basic organizing principle. And who knows how some of them may prepare for the next time? This is what Dr. King meant when he so famously said, “Violence begets violence.” Each new act of violence only encourages the other side to escalate. And what does it all accomplish? I write this in large part to say to my fellow agents of social change: Expressly reject violence. 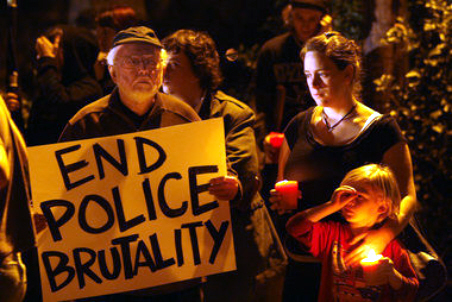 Do not give the police a reason to use violence, or even the immediate threat of violence. That was how Mahatma Gandhi, Dr. King, Bishop Tutu, Cesar Chavez, Susan B. Anthony, Lech Walesa and Andrei Codrescu helped to change the world. Their actions prove that Satyagraha, expressly nonviolent resistance, can and does defeat the thing that should be the common enemy of all advocates for social change: violence in all its forms. Caroline Johnson isn’t an Occupy protester, and she said she usually supports the police. But the UNC senior is confused by their actions in breaking up protestors who took over the former Yates Motor Company building at 419 W. Franklin St. Sunday. “In this case, it really makes them look like the bad guys,” she said — but she said she doesn’t know if that’s true. Johnson joined protesters and media at a Monday afternoon town press conference where officials explained the Chapel Hill Police raid on the building and arrest of seven protestors. Police pointed guns and rifles at and handcuffed protesters during the action. “I came to see why they used such big guns,” Johnson said. Protestors carried posters and interrupted officials’ statements at the conference. They said that they were the ones who came under threat. “It was one of the most traumatic experiences of my life,” said Hannah Shaw, a protester who said a gun was pointed in her face during the raid. Attendees also voiced concern that two reporters were handcuffed. Josh Davis, a UNC graduate student and freelancer who was handcuffed in the protest, has said he feels his First Amendment rights were violated. Chapel Hill mayor and police have a lot of explaining to do. Enter your email address to learn about new posts by email. What if Outlaw Bikers ("1%'s") Join the Occupy Movement? Robert reed on What if Outlaw Bikers (“1%’s”) Join the Occupy Movement? 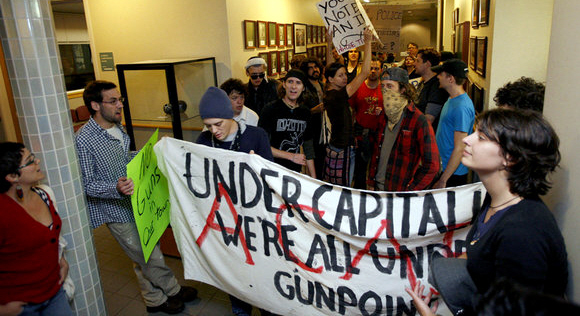 www.ginfan.com on What if Outlaw Bikers (“1%’s”) Join the Occupy Movement? 2ammusings on Jesus was a Community Organizer – Pontius Pilate was a Governor!! SLOW JOE on What if Outlaw Bikers (“1%’s”) Join the Occupy Movement?